For those not in the know, Resume and Curriculum Vitae (CV) are two different documents altogether. A CV comprehensively lists out all details regarding your education and experience, and can be many pages long. A Resume, on the other hand, is a very short document briefly explaining the salient aspects of your work and education profile. Following are some useful tips for those who are in search of jobs and looking for the best way to advertise their skills. 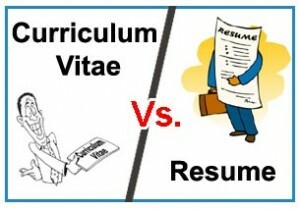 What to Choose: Resume or Curriculum Vitae? A Resume is a one page document highlighting the vital aspects of your work and education career. The basic purpose it serves is-Making that important first impression. A resume provides recruiters with a rough overview about the job seeker’s profile. It may be short but it has to be impactful. 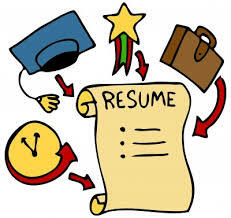 A resume is what applicants are expected to carry with them during their initial screening by the HR recruiter. For skill-intensive jobs, a resume highlighting the required skills can be banked upon to create the necessary impression to help candidates secure their coveted jobs. However, for sophisticated roles where managers need to have an in-depth understanding of the candidate’s profile, a CV is more preferable. Following pointers will come in handy for anyone looking to create an impactful resume. The structure and format of the resume differs depending upon the kind of job you are applying for. Say, you are applying for a skill-intensive role then it should be your skills that should be prominently highlighted. If you are applying for a research-based role such as that of an intern or research assistant, then your educational qualifications assumes significance and needs to be highlighted first. It is important that the applicant should back up his listed strengths and qualities with certifications attained, workshops attended, etc. Also, they should try and connect it with real-life experiences. For example, when writing about leadership ability candidates can quote instances from their college or career where they held a leadership role. The importance of using effectual titles cannot be emphasized enough. Consider a scenario where the recruiter is randomly sifting through a stack of resumes. A clear and well-meaning title will definitely catch the eye of the recruiter increasing your chances of getting hired. Suppose you are applying for the position of a Trainer. Following is an example of what a bad title and a good title would look like. Using Bullet points is a good way of listing out your skill set, work and educational experience. Managers and recruiters rarely have the time to read through paragraphs. Bullet points make it much easier for them to sequentially go through your educational and work experience and determine whether you are a right fit for the job. It is important that you go through your resume over and over again to make sure that it is completely free of typos. Spelling mistakes in your resume create a very bad impression, thereby denting your chances of getting hired.